Christmas gift for my brother and sister-in-law 2018. 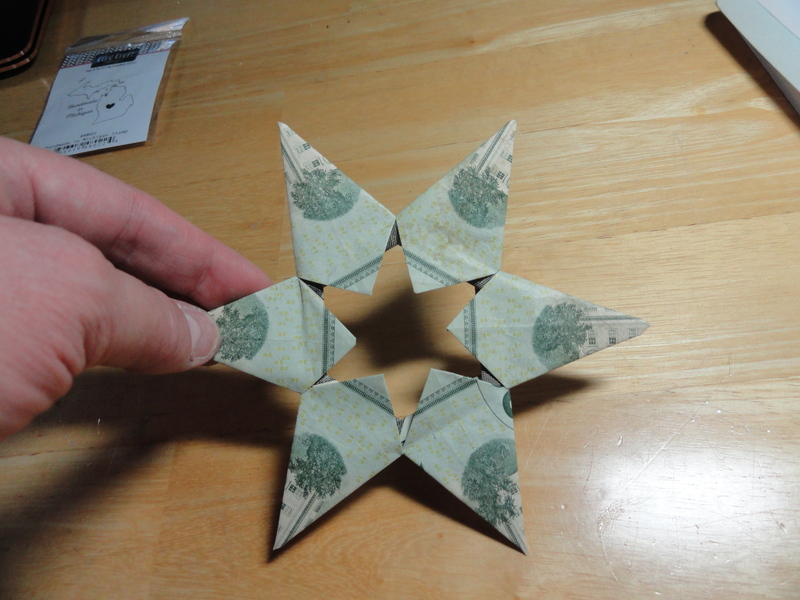 I made a few of these stars and some other shapes after watching some YouTube how-to videos. This one is made from 6 $20 bills. They thought this was a cool gift.